Gold prices were higher in early European trade on Monday, as market participants looked ahead of key economic reports and political risks weighed on sentiment. On Friday, the yellow metal ended higher as the US Labor Department reported a larger-than-expected build in jobs last month. According to the report, the economy added 227,000 jobs in January, against a 175,000 increase initially estimated by economists. The unemployment rate came in a tick higher than the forecast at 4.8 percent. Average hourly earnings increased 2.5 percent on annualized basis. Positive employment data builds a stronger case for raising benchmark rates in the near future, which ultimately stimulates the greenback’s demand and pressures safe-haven assets such as gold, silver and copper. Such dynamics were seen on December, when the Fed announced its second interest rate hike in a decade, moving rates from 0.50 percent to 0.75 percent. On the Comex division of the New York Mercantile Exchange, gold for February delivery was up 0.41 percent to trade at $1,225.80 an ounce as of 06:50 GMT. Last week, the US regulator held its first monetary meeting of 2017. As it was widely expected by traders, the FOMC opted to keep rates unchanged. However, Fed authorities said in a statement that the economy was showing solid growth and gradual rate increases are still on the table. 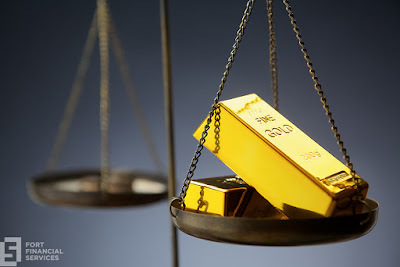 Gold closed 2.14 percent higher last week on the back of a weaker dollar, as the Trump administration continued to grow concerns regarding the US-Iran relations. In the week ahead, service sector activity and trade data in China will be released, together with German factory and similar stats in the euro zone. Crude benchmarks were higher in early Monday trading as investors looked ahead of fresh inventories and rig count later in the week. Oil prices ended Friday session on a positive note, as market players digested signs that global crude supply is decreasing due to OPEC’s so-called output freeze agreement. On Friday, the US Department of Commerce announced new sanctions against some Iranian individuals and companies in response to Tehran’s illegal test of ballistic missiles. US West Texas Intermediate oil futures traded at $54.06 a barrel on the New York Mercantile Exchange, up 0.43 percent from its prior settlement. The London-based Brent crude oil futures were up 0.44 percent to $57.06 a barrel as of 06:50 GMT. Last week, oil prices were boosted by remarks from Russian Energy Minister Alexander Novak, who assured producers are cutting output levels as agreed in December 2016. Novak also said Russian drillers might reduce oil production a bit faster than expected. The Organization of Petroleum Exporting Countries and independent producers have agreed to cut production levels in nearly 1.8 million barrels per day until June. The plan is to shred 32.5 million barrels, which accounts for 2 percent of global production. Oilfield services provider Baker Hughes reported a build of 17 rigs drilling for oil in the United States, leaving the total count at 583, the highest level since November 2015. These figures increased concerns among traders that higher US production could counteract OPEC’s efforts. In the coming week, investors will be focusing on weekly US crude inventories from the American Petroleum Institute and the Energy Information Administration. Also the International Energy Agency is due to release a report on global supply and demand levels.